Today we’ll take a look at a couple of additional (and useful!) 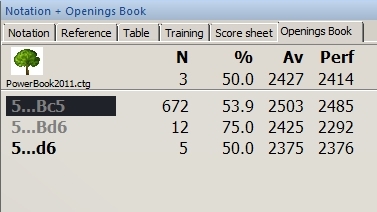 opening book options which you can toggle “on” or “off” in ChessBase 11. 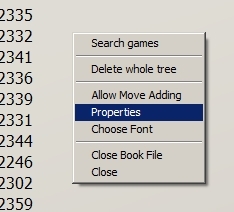 The first option we’ll look at is the “Retro moves” box. Obviously, to activate it you’d just click the box to check it and then click the “OK” button. We see all of Black’s replies listed as usual, of course, but we also have two additional entries down at the end of the list: a couple of White’s moves. This indicates that there are two prior board positions which lead to this position, hence that there are two ways to get to where we are now. 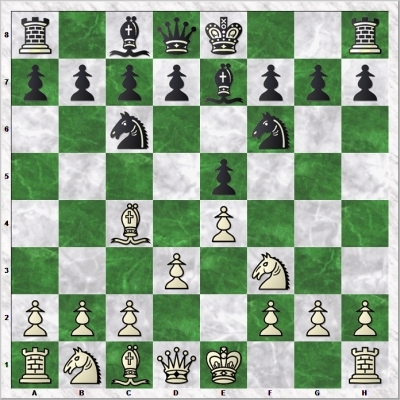 The current board position (in the illustration above) occurs in two ways: after White has played 2.Bc4 or 2.Nf3. 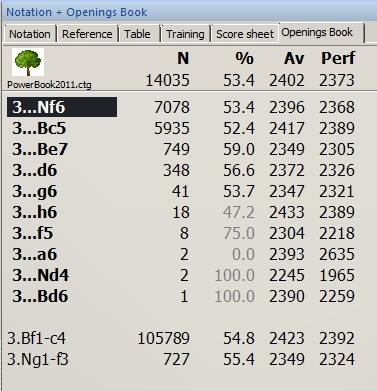 Since we played the moves 1.e4 e5 2.Bc4 Nc6 3.Nf3 to get here, we can see by the number of games that we’ve been on “the road less taken” and that 1.e4 e5 2.Nf3 Nc6 3.Bc4 is the more commonly played variation. The “retro moves” toggle is very handy for finding opening transpositions; these are really good to know, especially when you frequently find yourself playing against people who learn openings by memorizing move orders instead of the correct method – by recognizing positions and knowing their underlying themes and principles. The second opening book tweak is “Unplayed transpositions”, a toggle which allows the opening book display to “fill in gaps” and display moves which weren’t actually played but which lead to known positions from the opening book. …which indicates (both by the numbers of games and the predominance of bold face moves in the list) that we’ve transposed back into the Giuoco Piano proper. And we’ve learned about these transpositions solely because we had the “Unplayed transpositions” toggle cheked “on”. Note that both of these ChessBase 11 opening tree toggles have very similar functions: “Retro moves” shows us transpositions from previous board positions, while “Unplayed transpositions” shows upcoming transpositions. 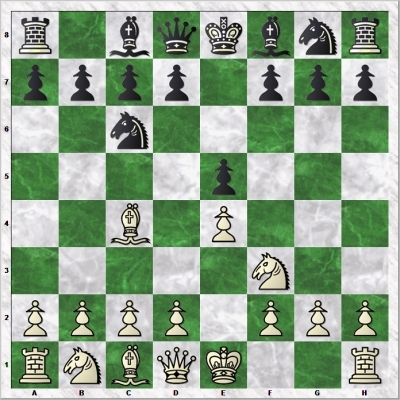 Both functions also have a similar purpose: to show us new (and often very devious and tricky) move orders which get us to familiar board positions – and this may very well provide us with a leg up on our chess opponents.